Musical Charlie and the Chocolate Factory will close in 2017, as it enters its fourth year in the West End. The show will transfer to Broadway later in 2016 and will also embark on a UK tour, with tickets on sale next year. Based on Road Dahl’s book of the same name, the musical opened at the Theatre Royal Drury Lane in June 2013 , directed by Sam Mendes. The show’s producers have confirmed that its fourth year in the West End will be its last, however a final closing date has not yet been confirmed. It is currently booking until January 7, 2017. Charlie and the Chocolate Factory has music by Marc Shaiman, lyrics by Shaiman and Scott Wittman and a book by David Greig. It is produced in the West End by Warner Bros Theatre Ventures, Neal Street Productions and Langley Park Productions. Chris Grahamson will joins the West End cast from April 25, playing Mr Bucket. 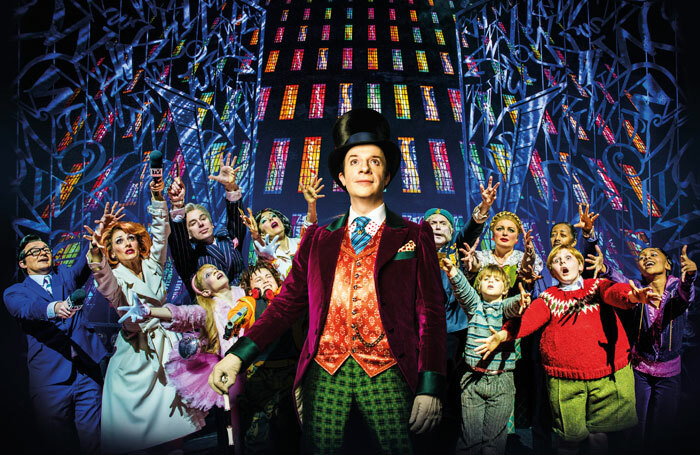 Jonathan Slinger will continue in the role of Willy Wonka.